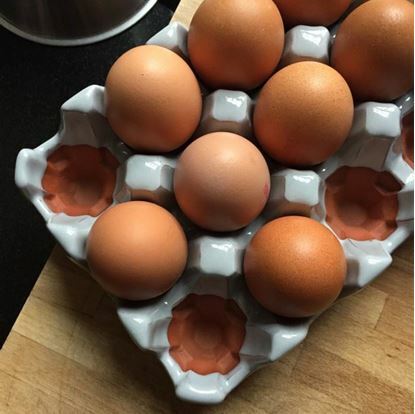 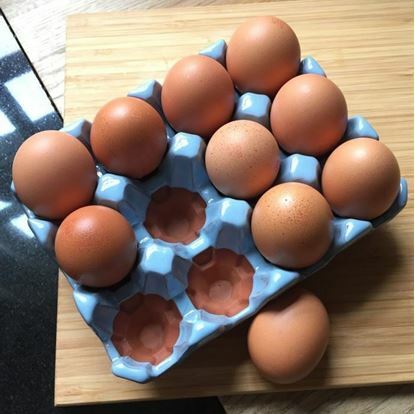 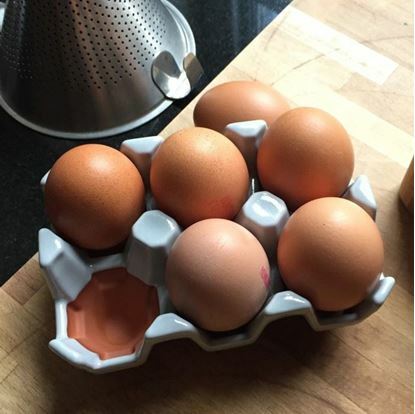 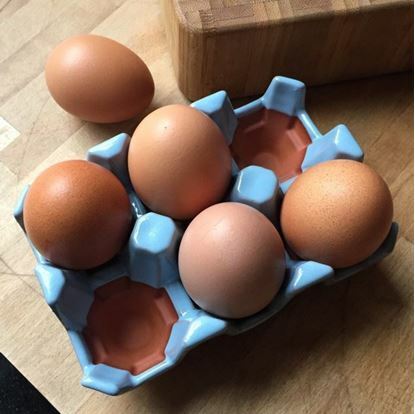 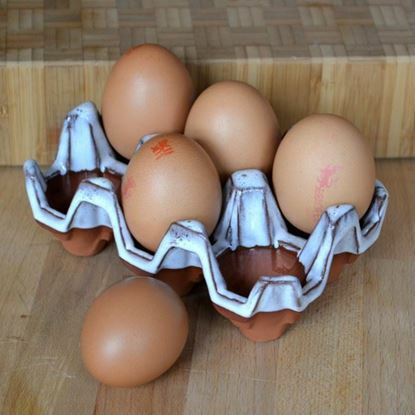 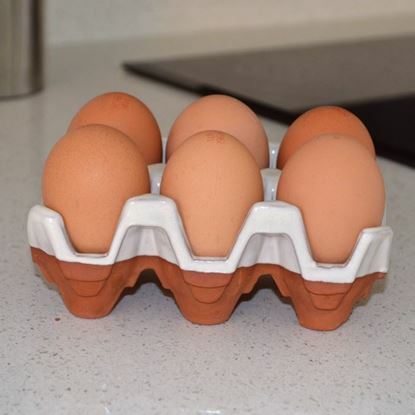 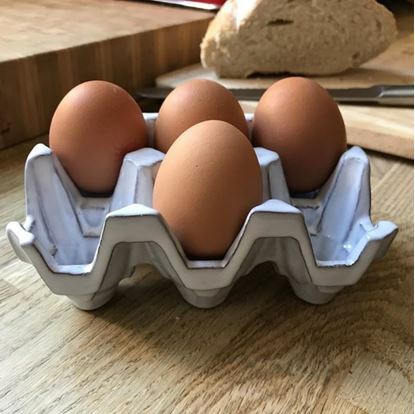 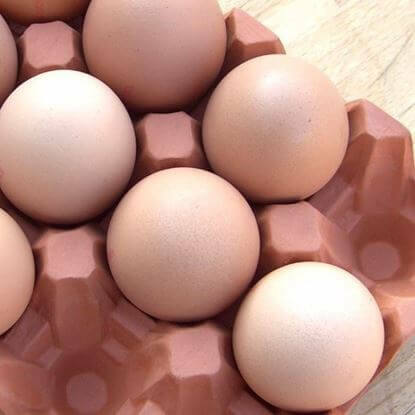 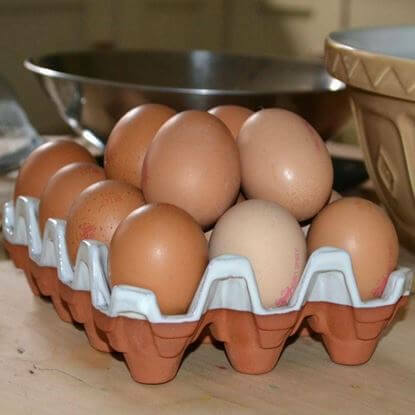 Based on traditional corrugated egg tray designs, our practical ceramic egg rack is available in two sizes for 6 or 12 egg storage. 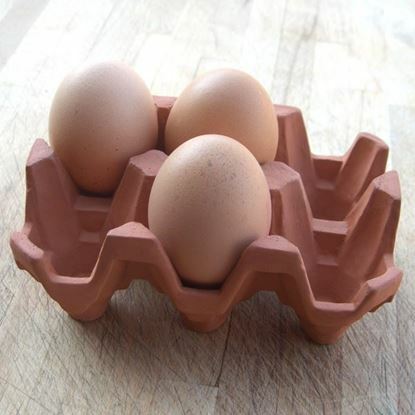 With a choice of natural terracotta and glazed finishes, there is a ceramic egg rack to suit most kitchen styles. 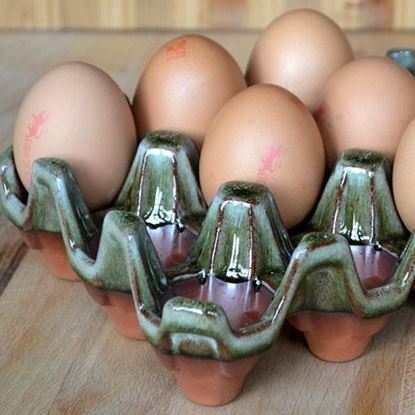 Each egg rack is made & finished by hand at our Newark pottery studio from quality English terracotta clay. 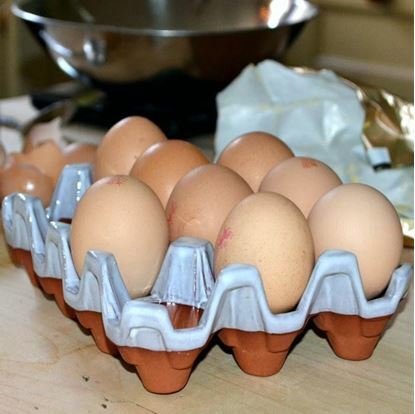 Many cooks believe that cooking with eggs stored at room temperature rather than refrigerated temperatures gives superior results.